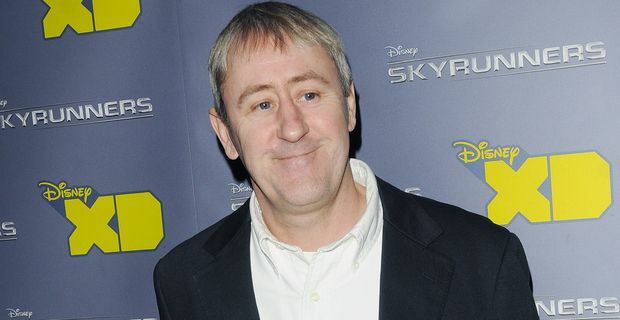 He enjoyed nationwide recognition as Rodders in Only Fools and Horses, but Nicholas Lyndhurst is in danger of developing into a grumpy old man. He is the latest actor drafted in to prop up the geriatric cop show New Tricks, but was thoroughly scathing about the current state of British television. He told Radio Times that a show like Only Fools and Horses would not have survived in today's ratings-chasing climate. "TV companies turn down good scripts because they're not prepared to let them develop," Lyndhurst said. "A talent show will pick up seven million viewers and they can't afford to nurture something that initially will only have a million. Only Fools would never be made today, nor Dad's Army." He decried the voyeurism of talent shows. "It's cruel to watch these deluded people - the judges as well, sometimes," he said. "It's a shame because you don't want to watch people who can't do it." He added that many of the offers coming his way were for celebrity shows. "Take away the talent shows, celebrity cook shows, skating, dog training, dancing, putting people on an island - and what's left?" he asked. "I've been asked to go on all of them." Instead he has joined the cast of New Tricks, depleted by the loss of James Bolam and Alun Armstrong, but still a ratings hit for the BBC after ten years. Amanda Redman will also depart during the current run, to be replaced by Tamzin Outhwaite. It seems the BBC is happy to turn the show into a police procedural version of Last Of The Summer Wine, with a constant transfusion of new blood as cast members get tired or (as in Bolam's case) exasperated by the quality of the scripts. Lyndhurst plays moody loner Dan Griffin. Fans eagerly await the first chance for Dennis Waterman to call him, "you plonker".